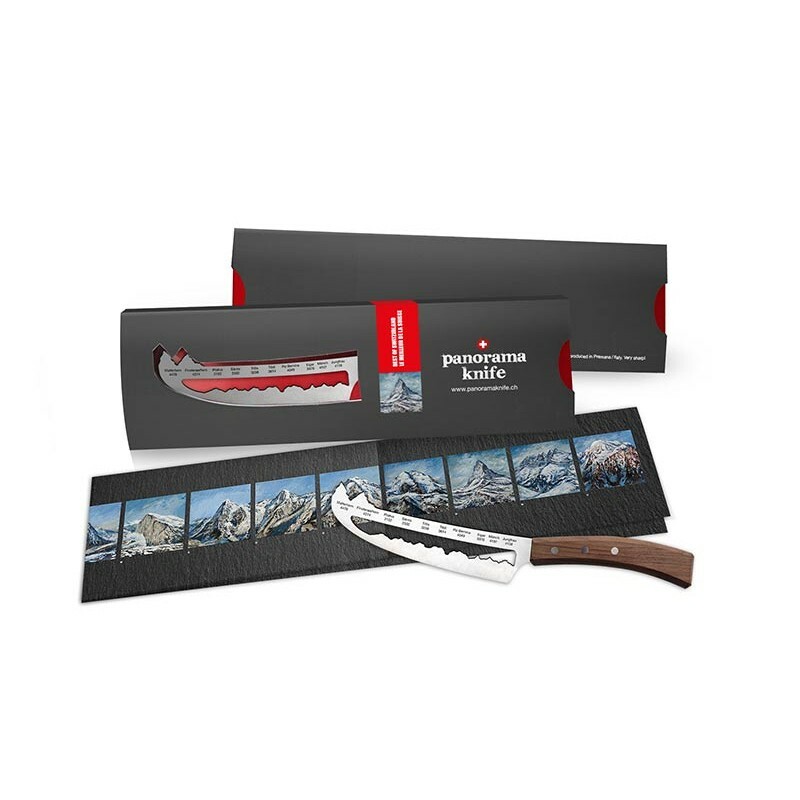 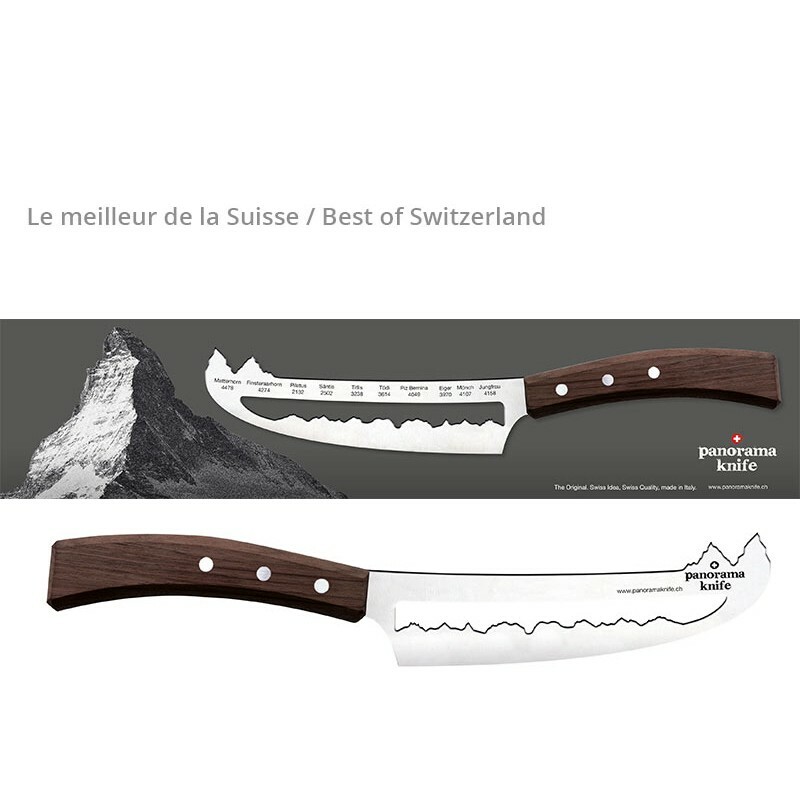 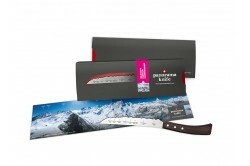 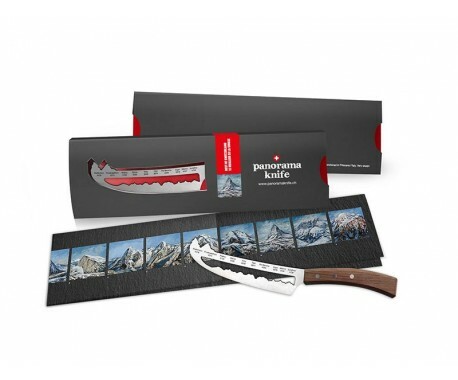 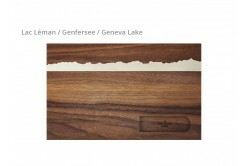 The Panoramaknife cheese knife is available in four differents Swiss panoramas. 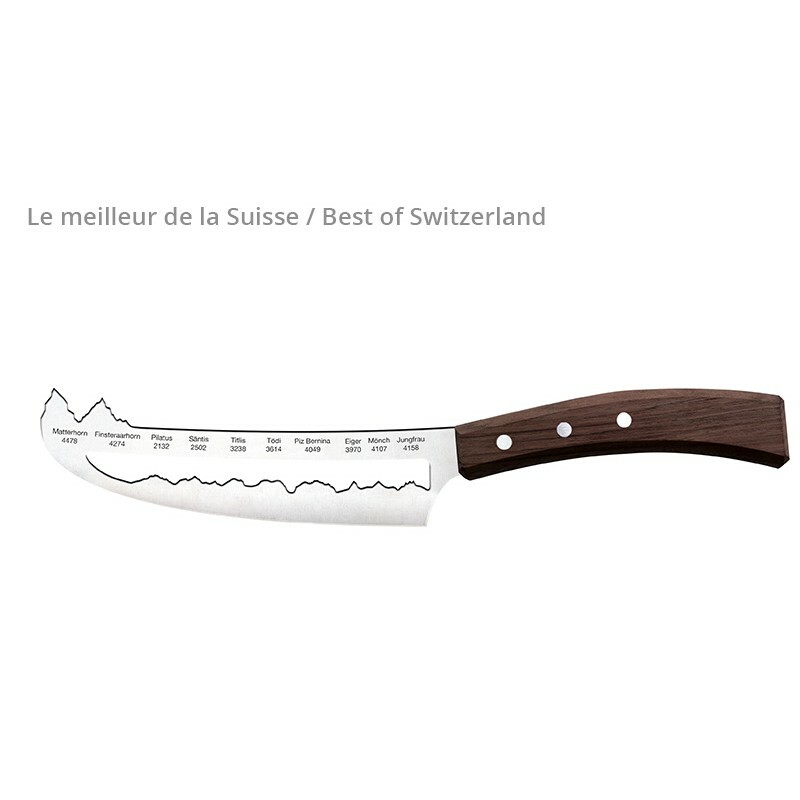 The blade is made of stainless cutlery steel 42 (Molybdenum/ Vanadium), DIN No 1.4116. hardened to 54-55 HRC (Hardness Rockwell C). 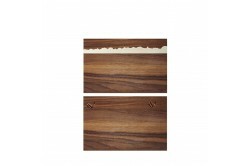 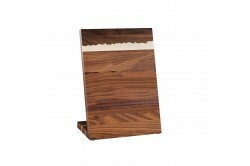 The handle is made of rosewood and the riveting is aluminium. 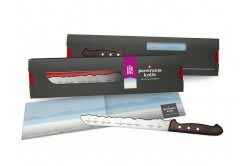 The blade and handle are made in Italy. 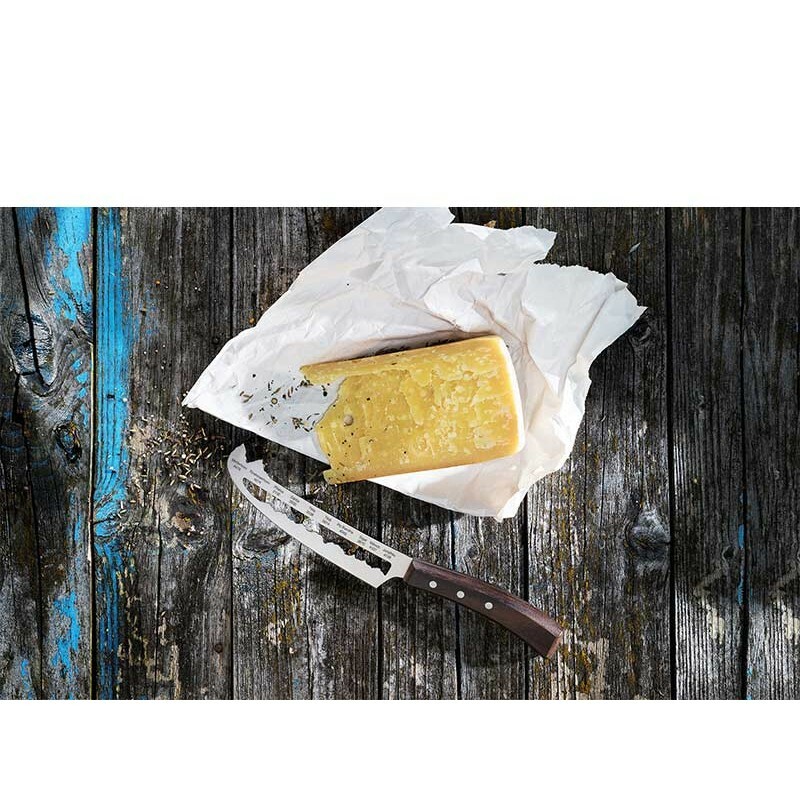 The packaging originates from Thurgau and the finalsisation takes place in Ermatingen.